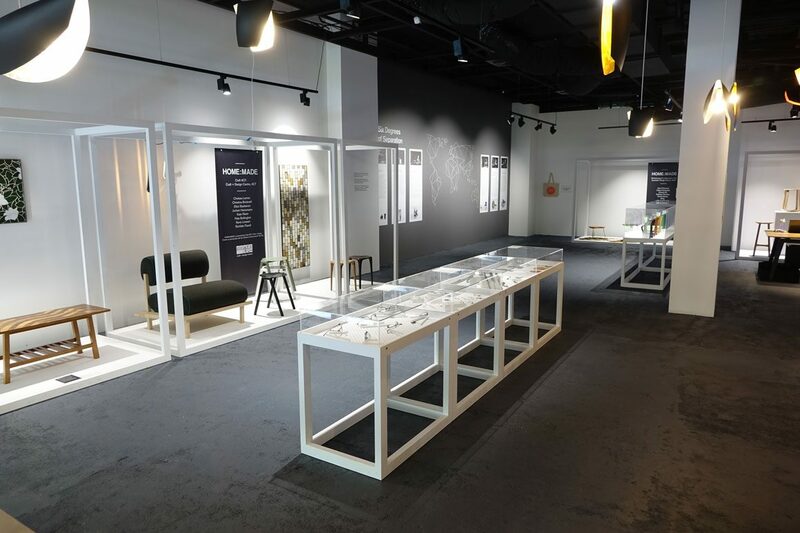 Design Community was proud to be a silver partner for the 2017 Design Canberra Festival, designing this exhibition space in the Life by Design precinct at the Canberra Centre. 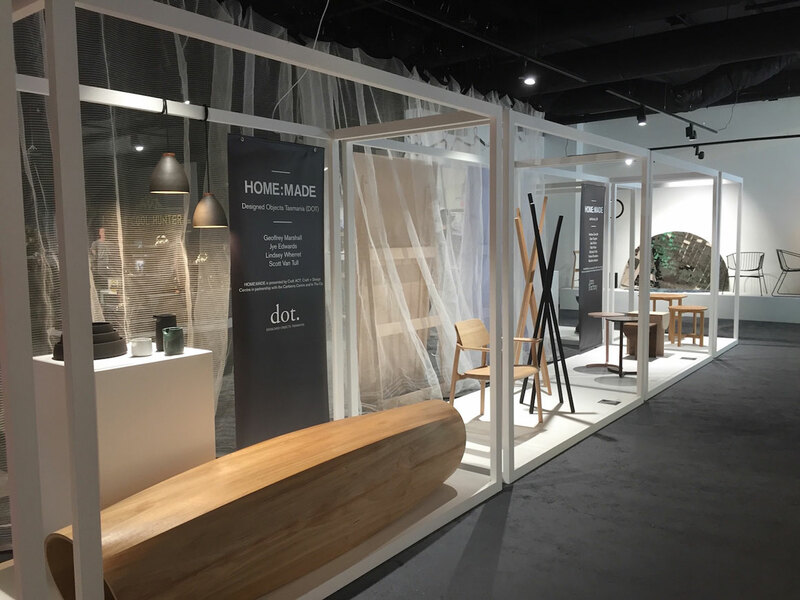 The temporary exhibitions showcased the best of contemporary Australian furniture, ceramic, lighting and jewellery design, with a number of talented locals in the mix. 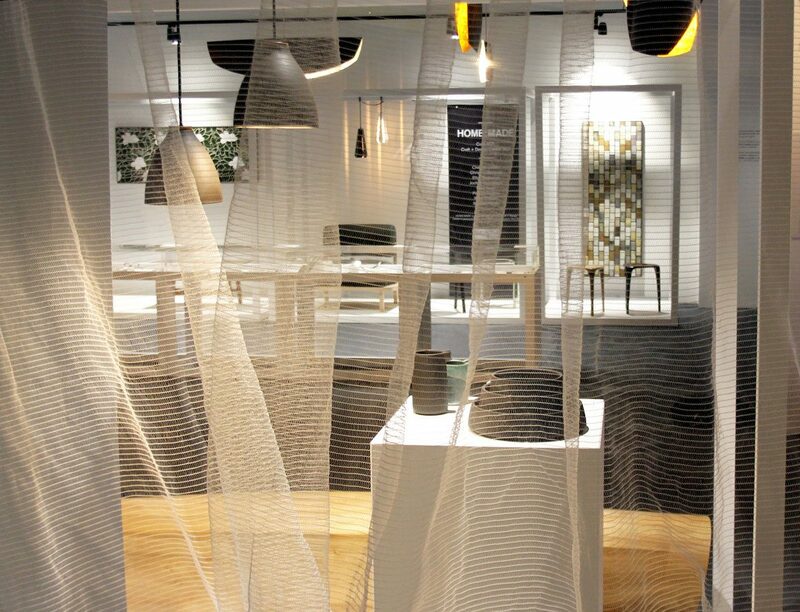 The simple display structures we designed function like shopfront windows, framing the works and allowing for the creation of focussed vignettes. They sit lightly in the white space, thrown into relief by a dark floor. Transparent netting softens and screens the adjacent tenancy. 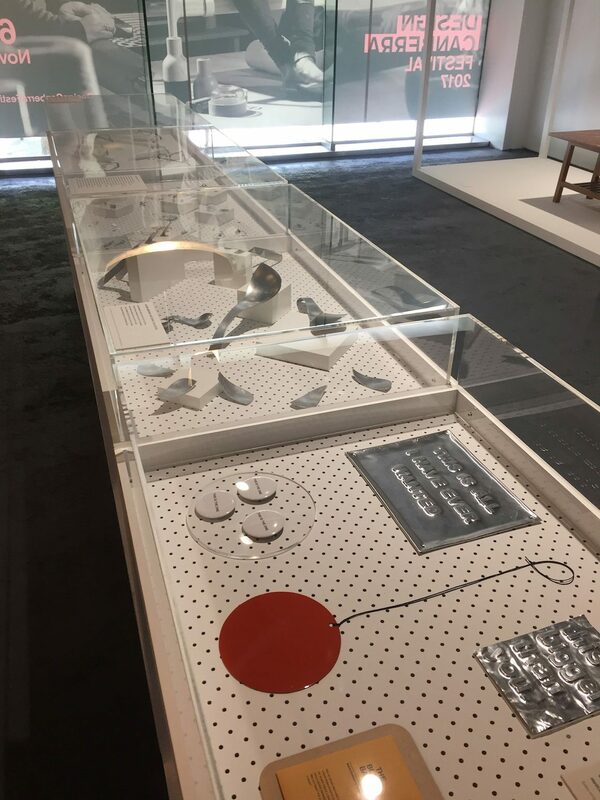 We used pegboard for the bases of the custom showcases, hinting at the human workmanship involved in creating the handmade pieces on display. The result was an exciting mix of exhibition and retail design, showcasing some truly beautiful work and setting a new standard for the annual festival.